If you have any interest in saving money on produce, order from Bountiful Baskets. It is a great way to save on produce. Available in the following states: AZ, CO, GA, ID, KS, KY, MT, ND, NE, NM, NV, OK, OR, SC, SD, TX, UT, WA, WY. Always check the list for new states. If you have any interest in ordering produce from Bountiful Baskets now is the time to head over and check it out. Bountiful Baskets video gives an overview about ordering produce from Bountiful Baskets, a non-profit co-op. It is available in the following states: AZ, CO, GA, ID, KS, KY, MT,ND, NE, NM, NV, OK, OR, SC, SD, TX, UT, WA, WY. Do you order from Bountiful Baskets? Do share your experiences and comments with us! If you are fortunate enough to live in Arizona, Colorado, Georgia, Idaho, Kansas, Montana, Nevada, New Mexico, North Carolina, Oklahoma, Oregon, South Dakota, South Carolina, Texas, Utah, Washington or Wyoming I have an amazing deal on produce for you from Bountiful Baskets Co-op. Each Monday at noon local time the site will launch with offerings. Select your state and the site location where you want to pick up your produce up from. Add a basket (up to 3) and any extra packs they are offering that week to your shopping cart and check out. Saturday morning pick up your basket at designated time & location. GO HERE TO GET A LOG IN. I suggest getting your log in and mosey around the site a bit. Then on Monday~~~Get on the site quickly and place your order. It’s live inventory, and some sites sell out fast. I have been singing the praises of Bountiful Baskets.org for a year now. No Bountiful Baskets in your area? Go to this Co-op Directery and search your state. It’s Tuesday and if you have any interest in ordering produce from Bountiful Baskets now is the time to head over and check it out. 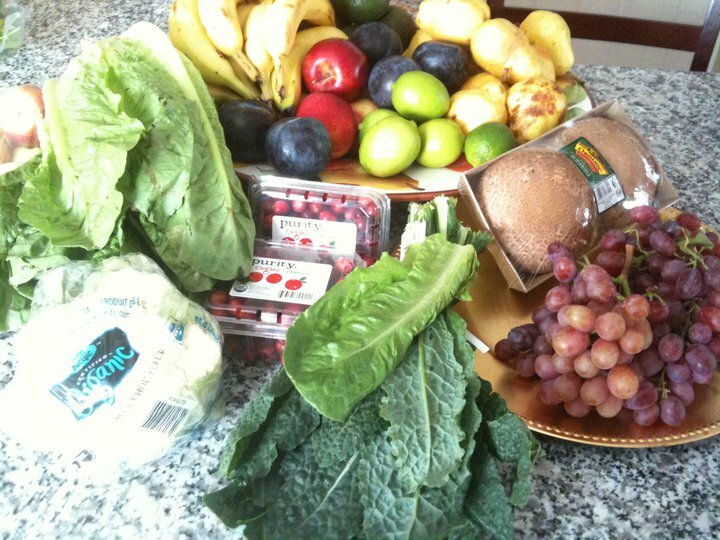 Go HERE to learn about ordering produce from Bountiful Baskets, a non-profit co-op. It is available in the following states: AZ, CO, GA, ID, KS, MT, NM, NV, OK, OR, SC, SD, TX, UT, WA, WY. or go directly to Bountiful Baskets and order.